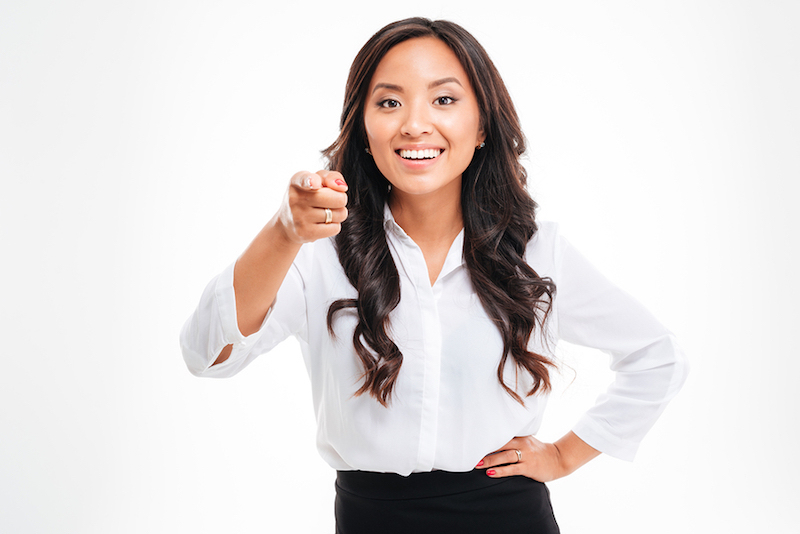 If you are researching cosmetic dentistry in Montgomery OH, you may have heard claims that it can provide you with a ‘perfect smile’ or a ‘celebrity smile.’ Are these simply exaggerations? We invite you to judge for yourself. If you had dental caries in the past, you may have old amalgam fillings. White fillings match your surrounding teeth, dramatically improving your smile without crowns. There are many different kinds of crowns that serve different purposes. We perform an intensive examination to ensure the crown you get is perfect for you and your smile. Veneers can correct chips, cracks, minor tooth misalignment, tooth discoloration, unattractive tooth shape, and disproportionate tooth size. There is nothing like a wonderful white smile to give you optimal confidence. Dentists use bonding to correct tooth troubles caused by decay, chips, or cracks. Large spaces between healthy teeth can be filled with bonding material, and bonding can guard tooth roots if the gums have loosened. 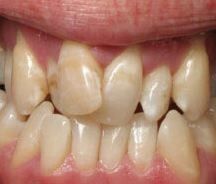 Just one slightly misshapen tooth can downgrade the characteristics of a smile even if all the other teeth have a pleasing appearance. If you have a gumline that is too low or too high and detracts from the presentation, gum contouring can reshape the gumline and transform your smile. Perfect smiles with cosmetic dentistry are possible—but don’t just take our word for it. Come see the Endres Gateway Dentistry smile gallery and judge for yourself. Even better, schedule an appointment to visit our office. We serve the Montgomery, Blue Ash, and surrounding Cincinnati area. At Endres Gateway Dentistry we are specialists in all aspects of oral health, from family dentistry to orthodontics. We serve patients from all over the Cincinnati area. Many residents in our community experience dry mouth occasionally. Some develop dry mouth in social situations or when they are under a lot of stress. Sporadic or infrequent dry mouth is usually not a serious problem. But constant dry mouth, known as xerostomia, is not only irritating, it can lead to acute health problems. Never take your saliva for granted. It plays a vital role in maintaining your health. One of its roles is to help digest your food. The moment food enters your mouth, saliva starts breaking it down so your body can metabolize it. If you don’t produce enough saliva to carry out this task, your body may not be getting all of the nutrients it needs to stay healthy. Saliva also functions as a disinfectant by cleansing the mouth of leftover food, bacteria, and fungi. This helps prevent tooth decay and infections. Many people don’t realize that some of the foods we eat are very acidic, and that saliva helps counteract those acids in our mouths. Dr. Eleanor Endres and her staff at Endres Gateway Dentistry have been treating xerostomia since 2007. For starters, Dr. Endres recommends cutting back on caffeine in such drinks as cola, coffee, and tea. Not only do these beverages stain and discolor your teeth, the caffeine can contribute to dry mouth. She also recommend drinking water throughout the day to make sure you are adequately hydrated. Tobacco and alcohol can also contribute to dry mouth. So can certain medications. IF you have been prescribed a medication and also have dry mouth, consult with your physician to see if dry mouth is a side effect. Dry mouth is not a natural part of aging, so call Endres Gateway Dentistry today and schedule an appointment if your dry mouth is getting worse as you grow older. Looking for a gentle family dentist who focuses on preventative dentistry? I invite you to come visit my practice at 9380 Montgomery Rd Ste 204 in Cincinnati. My friendly team at Endres Gateway Dentistry make sure you have a pleasant experience whether you visit us for a cleaning and exam or a complete smile makeover. Our dental menu includes crowns and bridges, veneers, orthodontics, dentures, and implants. Call for an appointment or consultation today. Your sensational smile starts with healthy teeth! Cincinnati parents want what’s best for their children, but some can’t always provide everything their children need when the family budget is tight. If your child has crooked teeth and you are on the fence about braces, we encourage you to read this post. 1. A beautiful smile with straight teeth boosts your child’s self-esteem. Young children with crooked teeth may not notice that anything is wrong, but eventually they will realize that their teeth don’t look right. Straight teeth make the whole face more pleasing and attractive. If your child is self-conscious about an unappealing smile, he or she will be reluctant to smile. A serious demeanor could influence the way he or she is treated by peers. 2. Crooked teeth can affect the bite. If you suspect that your child’s bite is not aligned, we invite you to make an appointment with Endres Gateway Dentistry. Dr. Eleanor Endres can evaluate your child’s bite and make recommendations to see a specialist if needed. 3. Crooked teeth can influence normal speech development. 4. Correcting a child’s teeth with orthodontia is speedier and easier when the jaw is young and flexible. 5. Crooked teeth can reduce your child’s power to eat a healthy diet. 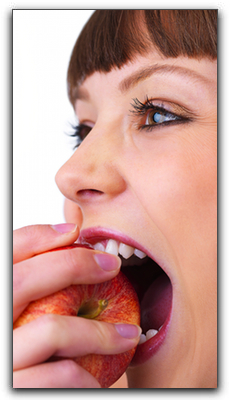 Misaligned teeth can make chewing and eating difficult. Children need a variety of foods but may miss out on vital nutrients if they can’t chew raw vegetables or meat, for example. If your child only eats soft foods, his/her jaw may not develop normal size and strength. 6. Misaligned teeth can damage the gums and underlying bone. 7. If crooked teeth cause malocclusion (bad bite), problems with TMD (Temporomandibular Disorders) can result. TMD is a harmful condition affecting the jaw joint. 8. It’s easier to clean teeth when they are straight and uncrowded. When uneven teeth begin to crowd together, it becomes problematic to make vital daily cleanings effective. And, when your teeth aren’t cleaned properly, issues with plaque build-up, cavities, and gum disease typically result. 9. If the child’s crooked teeth are not corrected while they are young, the troubles may compound and become worse with age. Severely crooked teeth commonly impact strength and quality of life. For example, chewing issues can lead to ulcers, and gum disease increases the risk of stroke and heart disease. 10. There are many new types of braces. Ceramic, self-ligating, and lingual (invisible) braces are some of the new orthodontia options. In some circumstances, invisible braces can be just as effective at straightening teeth as the conventional type. 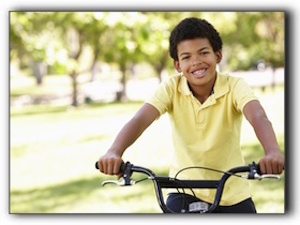 To find out if your child needs braces, schedule a consultation at Endres Gateway Dentistry by calling 513-791-8880. Do you suffer with chronic headaches? Have you tried Imitrex, diet adjustments, and Blue Ash chiropractic treatment? Perhaps the cause is not stress-induced tension, spine alignment or eyestrain. Maybe the culprit is right under your nose. Bite misalignment or malocclusion is a fairly common problem with dental patients yet commonly goes undetected. Nature intended the front teeth to fit slightly forward from the lower teeth. With a perfect bite, the molars fit together like precision gears. Malocclusion can cause headaches, tooth loosening, tooth fracture, and in severe cases, difficulty chewing, speaking or breathing. Orthodontics are an effective solution for many bite problems. Braces not only move teeth, they can also the position and function of the joints, muscles and bones in the jaw. In very rare cases of extreme malocclusion, jaw surgery in Cincinnati may be needed. Not all Montgomery and Blue Ash family dentists treat bite troubles. At Endres Gateway Dentistry we treat all types of malocclusion including overbite, underbite and crossbite. For an affordable dentistry consultation in Cincinnati, call us at 513-791-8880. Endres Gateway Dentistry in Cincinnati offers technologically-advanced dentistry in an environment that is friendly. We offer smile whitening, veneers, tooth-colored fillings and dental implants. To learn more about our dental philosophy and available procedures, see https://www.endresdentistry.com/blog/. Endres Gateway Dentistry, a well-respected local practice is located 9380 Montgomery Rd Ste 204 in Cincinnati. We are currently accepting new Cincinnati area patients to our state-of-the-art facility. We offer advanced general and cosmetic dental procedures. Ask us about family dentistry, sedation dentistry, cosmetic dentistry and orthodontics. We look forward to meeting you. Call us today at 513-791-8880 to schedule an exam, cleaning or consultation.